Ascension's "The Little Church" (this served as the main church until 1977) was built in 1923-24. At this time, Ascension served as a mission parish for immigrant workers in Chesterfield Valley. There was no permanent pastor until Father John Godfrey was assigned by the archbishop just after World War II. Before the original Ascension Church was built, the sole designated parish for this vast area of West St. Louis County, which encompassed small communities such as "Bonhomme," "Orville," "Centaur," "Hilltop," "Hog Hollow," and "Chesterfield," was St. Anthony's on Centaur Road (which was west of the present location of the Spirit of St. Louis Airport). Father V. J. McCartney, the pastor at St. Anthony's, would travel to Ascension for a Sunday liturgy after having Mass at St. Anthony's early in the morning. Eventually the Archdiocese decided to discontinue St. Anthony parish and make Ascension the designated Catholic Church to cover the territory surrounded by the parish boundaries of St. Monica in Creve Coeur, St. Joseph in Manchester, and Sacred Heart in Eureka. Eventually, as West County grew, new parishes were added (Incarnate Word, Holy Infant, St. Anselm, and St. Clare), and then Ascension grew to the point where a new church was required (and it was completed in 1977) and the parish itself needed to be split into two parishes (hence the creation of St. Albans). Before the new Ascension Church was completed, for many years the parish had to double the number of liturgies to accommodate the growing number of parishioners. Those Catholics who lived in Chesterfield in the late 1960's through the late 1970's may remember concurrent Masses being held in the upper level of the Parish Hall, directly behind "The Little Church." The Maryknoll Fathers, who had an active high school seminary in Chesterfield from 1958-1970, often assisted by celebrating Masses at Ascension, beginning with Father Godfrey's death in late 1965, until the Maryknoll Fathers sold the seminary and grounds in 1973. Also, some Benedictine priests from the Priory were also called to help and celebrated Mass at Ascension when we were short of priests. 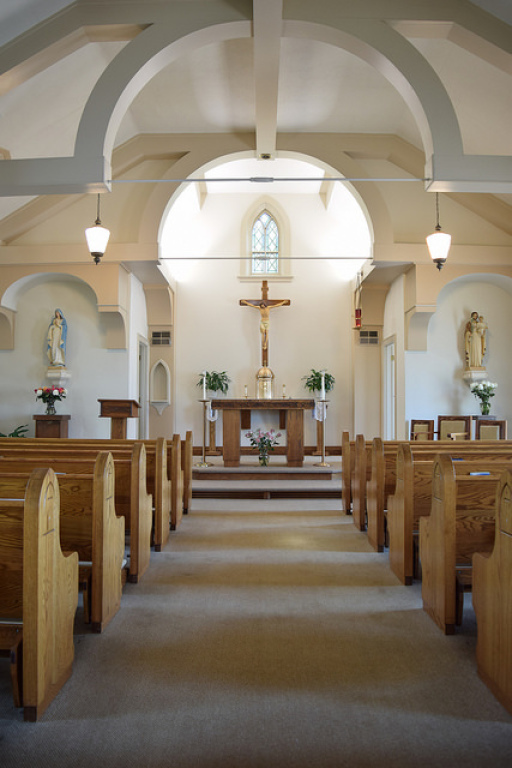 As for the simplistic yet beautiful interior of "The Little Church," the arches over the pews, plus the arches over the statues of the Blessed Mother and St. Joseph, and the detailed window frames and surrounding mini-arches and all interior carpentry trim work, were installed in 1966. 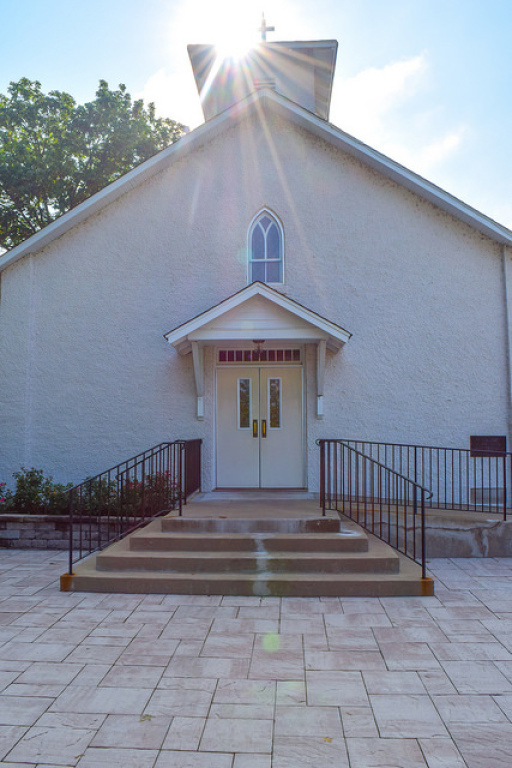 Four carpenters from the parish (Ted Jansen, Leonard Ruby, Fred Ruby, and Joseph Ruby) completely remodeled "The Little Church." To bring things up-to-date after Vatican II, the communion rail was removed. The original altar, which was up against the back wall (from the days when the priest did the consecration with his back to the congregation) was also removed and replaced with the simple table-style altar which is about 10 feet from the back wall. 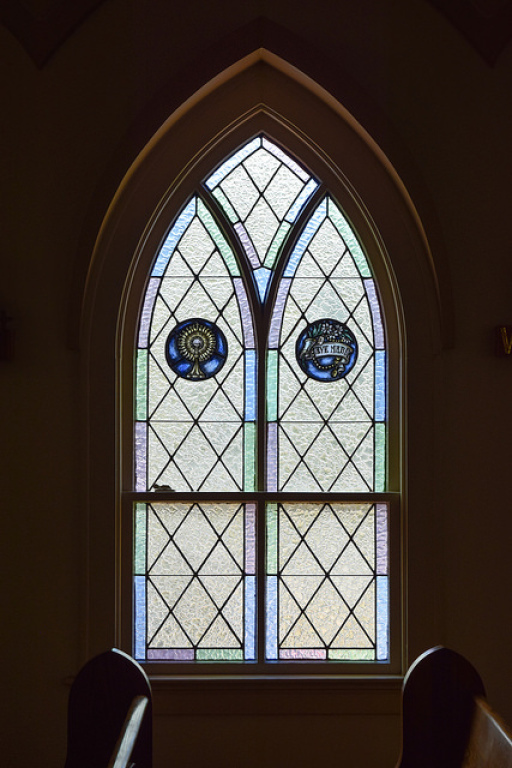 In addition to the aforementioned skilled trim work, these four parishioners upgraded and built supports to the choir loft, built a staircase to access the basement from the upper church, and installed carpeting and new pews. 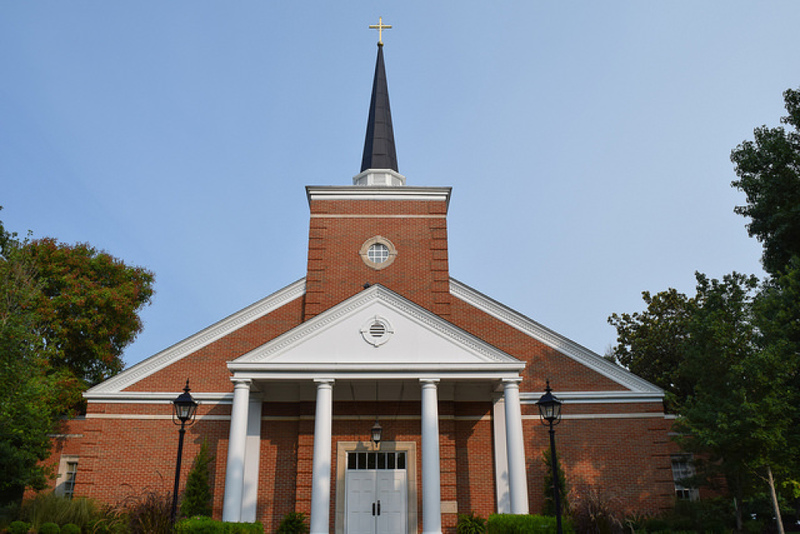 Another parishioner, Stan Porzienski, upgraded the church's entire electrical system. It may seem unusual in this age when church communities such as Ascension take bids from contractors and the parish pays them to provide such services, in the past era, generous and talented men donated their time and skills for their parish.